Energy is an international, multi-disciplinary journal in energy engineering and research. The journal aims to be a leading peer-reviewed platform and an authoritative source of information for analyses, reviews and evaluations related to energy. The journal covers research in mechanical engineering and thermal sciences, with a strong focus on energy analysis, energy modelling and prediction, integrated energy systems, energy planning and energy management. 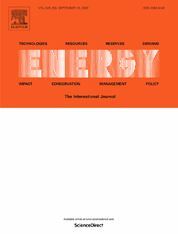 The journal also welcomes papers on related topics such as energy conservation, energy efficiency, biomass and bioenergy, renewable energy, electricity supply and demand, energy storage, energy in buildings, and on economic and policy issues, provided such topics are within the context of the broader multi-disciplinary scope of Energy.